Value Bonus! From 00:00GMT until 23:59 GMT, all members on their deposit of $/£/€10 or more will receive a 110% bonus up to 110.00 bonus. 140% BIG TUESDAY! From 00:00GMT until 23:59 GMT, all members are invited to receive a 140% bonus up to 140.00 on your first deposit of $/£/€ 50 or more. 25.00 Free Play! From 00:00GMT until 23:59 GMT, all members that have deposited at least $/£/€100 in December are invited to contact support@flycasino.com on December 16th to claim. Just 10X wagering on slots with $600 maximum winnings. Free Play Friday! 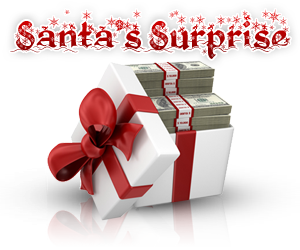 From 00:00GMT until 23:59 GMT, all members that have deposited at least $/£/€150 in December are invited to contact support@flycasino.com on December 18th to claim one of the below. Just 10X wagering on slots with $600 maximum winnings.